Are you aware that you are here in this incarnation to learn the greatest lessons in your life? You are. The truth is, you could not learn all these lessons alone. You need a tribe, a soul group. Ironically, this soul group may utterly destroy you. They’ll provide you the harshest blow that’ll break your heart, deliver you into absolute humiliation and destruct everything you hold near and dear to you. Do the above sounds tough? Don’t lose heart. Those are often the case when you meet your soul group. Soul groups incarnate together with a specific mission. When you connect with them, you collect a piece of the puzzle. A soul group’s purpose is to help each other wake up, break through the veil and release the illusion of separateness. Every soul group works together to fulfill this. It is up to each member to uphold their duty to serve each other. So when you come to recognize a member of your soul group, be prepared then for some radical changes and huge transformations that are about to take place in your life. 1. Your intuition is strengthened. Spending time with a member of your soul group activates your 6th chakra. This is due to the harmonious exchange of subtle energy. You may never exchange words, but you intuitively feel what the other is thinking from the heart. 2. You feel an immediate connection with each other. You easily recognize their energy signature. Thus you’ll feel comfortable and secure in their presence. And you resonate with each other immediately. 3. You easily forgive members of your soul group. You may forgive others who transgress you quickly, yet the weight of their transgressions may still be present. The forgiveness may even take time. All because understanding the intentions of others you’re not deeply connected with is a bit difficult. However, with your soul group members, forgiveness comes easier. They seemed to exist in your heart that it’s easy to understand their intentions and motives. 4. You’re not afraid to pour out everything about you. You become so authentic with them that you’re able to share even your silliest thoughts and experiences without fear. The things you find funny are funny for them as well. You lay everything on the table. Nothing could be off-limits. 5. You mirror each other. Each member of the soul group brings out certain aspects of yourself. Some bring out positive traits and qualities you no longer are aware of. Others act as your guide in the illumination of your darkest aspects, hidden shadows, and influences that need to be brought into the open for healing. 6. You just can’t get enough of each other. You feel you have boundless energy when you spend time with the members of your soul group. You feel you are resonating with each other so high that everything seems possible, even flying to the moon. You never get drained of energy due to the equal exchange of it. 7. You have programmed similarities. You may share similar upbringings such as being raised in the same religion, ethnic group, or family profession. All these make it possible for you to be closer to each other. This promotes a similar growth that is aligned with the overall mission of the group. 8. You don’t need to manipulate each other. You share a common goal for each one: to succeed in each other’s endeavors. There’s no competition or a desire to be ahead of anybody. Manipulation is not needed by anyone to obtain supremacy. Harmony is your soul group’s entire purpose. 9. You meet members of your soul group at the right time. The coming of your soul group in your life is Divinely guided. They appear exactly when you are about to give up hope, has lost your way, or are starting to question everything. They also come when you least expect it. 10. They serve as a catalyst for your growth. Most often than not, most spiritual awakenings occur after an immense pain and suffering. These unwanted emotions are what push you to go deeply within yourself and experience awakening. 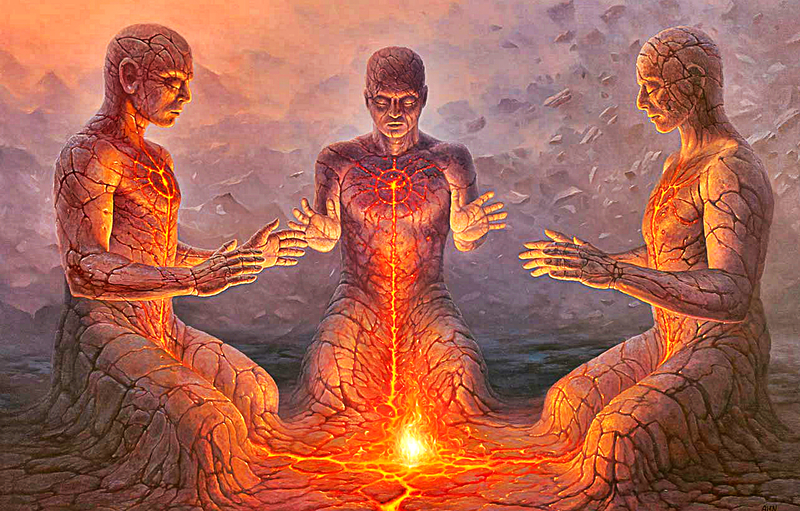 Your soul group is your catalyst for rebirth, spiritual awakening and evolution of consciousness. The moment they leave causes the most grueling pain. It’s as if you’ve fallen into a bottomless pit. It may depend according to scale. Yet, the darkness you feel is the deep layers of your own emotional karma. The intense separation implores the entirety of all that needs healing. And healing is the sole path for your Spirit to obtain freedom.